The galaxy is full of dangers and treasures aplenty. How you take advantage of what lies beyond the stars is up to you and your ship crew. You and plenty of other commanders will embark upon a new adventure within the Star Trek mythos. Welcome to the grand mobile adventure of Scopely’s Star Trek Fleet Command. 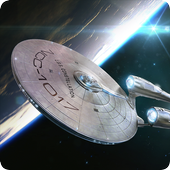 There’s plenty to see, collect, battle, and build as you immerse yourself in an MMO Star Trek journey. We’ve sailed across the stars and come back with a guide full of advice for would-be space travel cadets. • Once you make your way into a specific solar system, take a look around and see the many types of elements you’ll be dealing with. Those elements happen to be other human controlled ships, enemy ships, and special resource mining areas. Some mining areas take a while to fully deplete – other human players and enemy ships can roll right up on you while your ship is at work and completely disable it. Note that human players can’t take on other human players until their Player Level reaches 10. So this next bit of advice should aid you until you hit that specified level. • An upgraded ship has a higher chance of surviving such circumstances. Once you have multiple ships ready for deployment, maximize your mining output by sending them off to different parts of the galaxy. Focus on one of your ships for a while as you send them into battle and aid their mining habits. Once you’re done with that ship, send it back to your station so it can rest in a well-defended area. Then locate your other ship and do the same. • This process should help you discover new solar systems, acquire more chests, and complete a multitude of missions during a single gameplay session. Once you hit Player Level 10, it’s best if you take your strongest ship out for some exploring, battling, and mining while your other ships are stationed within your home base. Leaving them on their own while you’re busy with one of your other ships just won’t work anymore since they can get attacked by other players now. 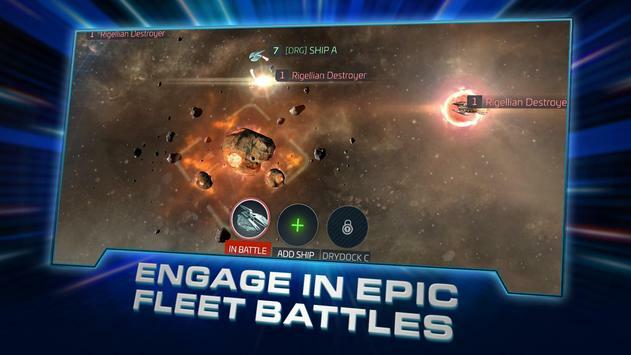 • As you fully explore each part of the galaxy, you’ll come across a never-ending squadron of enemy ships. Start small and take on ships that are much weaker than your own. Simply tap on one of those ships to see what rewards will come your way after defeating them. You can also choose the Scan option on any enemy you encounter to get a better idea of what you’re about to confront. • Scanning works best against human controlled ships – you’ll need all the info there is to know about that ship’s crew mate lineup and their strengths/weaknesses. Tap on the Missions icon (the yellow exclamation point) to get an idea of the combat missions available to you. Focus on completing the Combat Training Missions so you can acquire a ton of rewards and nab the resources needed to improve your ships. • A strong ship that’s fully prepared for battle entails assigning officers and regularly upgrading it/raising its Tier level. As you level up/promote your available Officers, assign your strongest ones to the Bridge. As for the weaker ones, place them in the slots beneath your Bridge crew. Your best ship will eventually unlock more Officer slots, which means you’ll be able to place more stat-boosting Officers onto it. Check out the Officer Ability of each Officer before you assign them to a ship. Say for instance you have a ship that’s low in the Attack stat area. Officers such as Instructor Spock, Nero, Komal, Kerla etc. are great candidates for those ship types. 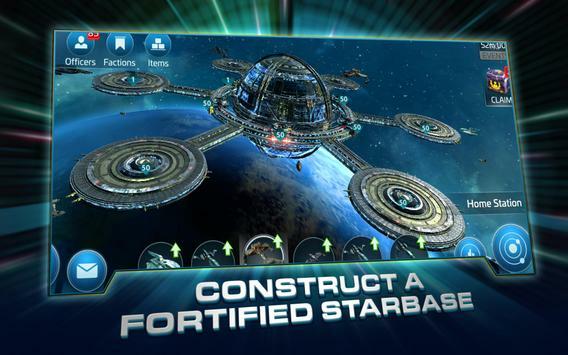 • Your home base is referred to as a Starbase. After you spend enough time completing Missions, collecting chests, and mining resources, take a break from exploring and head back to base. While your ship(s) is/are recovering or simply waiting for further instructions, explore the interior/exterior of your base. Head to the Missions tab so you can see what parts of your base need to be built next. • You can use Speed Up items to complete the building/upgrading jobs for buildings in a quicker fashion, but you’re better off saving them for speeding up the completion time for ship and officer upgrading jobs. Instead, ask your Alliance for assistance during these instances. Then go and do some more exploring and come back to complete the job once five-minutes of completion time are left – you can instantly finish any task once it hits five-minutes or below. • As you improve your base, you’ll get the chance to Research the stat boosters tied to the game’s Combat, Station, and Galaxy sectors. You should spend most of your Research efforts in the Combat area – the assists that come from Combat Research will turn your ships into a formidable space army. The second most important Research element you should upgrade are the Galaxy exploring stat boosters. • You’re going to be doing a lot of exploring as you upgrade your ship’s Warp Engine, so you’ll want to make sure you’re better prepared for the bigger trips you’ll head out on. The Station Research upgrades should get a bit of your attention after you spend some resources on the last two Research areas. Keep building up new pieces of your base so you can command more ships and unlock new Research topics in all three upgrade areas. • An active Alliance is an unstoppable Alliance! Once you hook up with one, there’s a ton of tasks attached to your position as an Alliance member. Always check in to fulfill Help Requests from other players (those same players can do the same for you!). You’ll also need to contribute your resources to the cause so that your Alliance can gain AP and raise their overall level. • As an Alliance hits new levels, they’ll get to bring in even more members. The max amount of Alliance members that can be helped at a time also increases. If you head into the Events menu, you can stay abreast of the Events tied to your continued efforts as an Alliance member. Complete these to earn as many points as you can alongside fellow Alliance mates – the rewards gained from scoring high during Daily Alliance events are totally worth it! 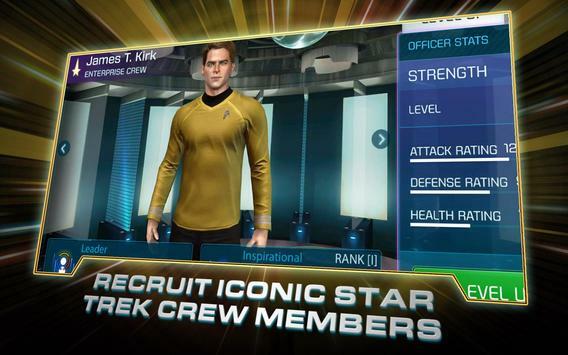 • Star Trek Fleet Command does an awesome job at giving you a set guide of things to do on a daily basis. The Missions tab always gives you the most important jobs to complete, plus it’s home to the Daily Goals sub-menu. Completing the game’s main Missions will bring you into contact with Factions, which helps you gain favor/hate from them and unlock Faction Store items. Be wise with the choices you make during certain Missions so you can become a favorite of the Faction(s) you prefer the most. • You should complete every Daily Goal so you can acquire the Total Points needed to obtain every collectible chest. You should also pay a visit to the Events tab on a daily basis – there’s a ton of timed Daily and Daily Alliance events to busy yourself with. And finally, make it a habit to check out the Gifts menu. Here is where you’ll lay claim to timed chests which come in different time limit intervals – 10-minutes, four-hours, and 24-hours. Every time you log-in, stick to this gameplan and you’ll have no problem turning into a legendary commander!